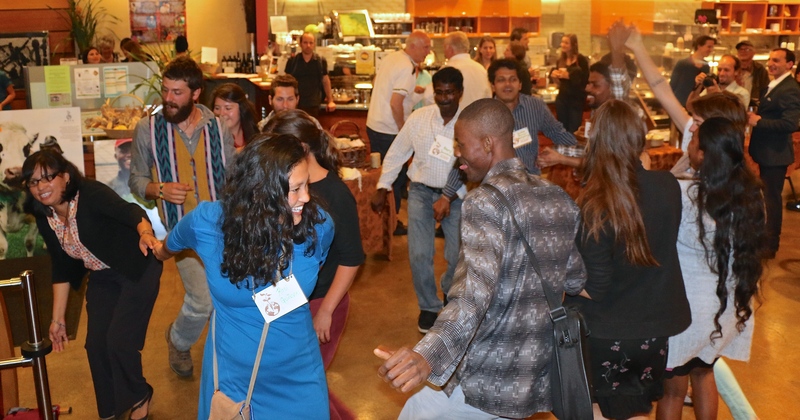 Since 2011, MESA has recognized leaders who are building resilient, equitable, and joyful food systems throughout the globe with our Annual Forging Farmers Awards. The MESA network, including Stewards, Alumni, Hosts, and Board Members nominate several candidates each year in the following categories: Educator, Community Changemaker, Host Mentor, and Emerging Leader. The candidates are nominated based on their involvement with the MESA network, their impact as a leader and innovator, and their projects advancing agroecology and the next generation. 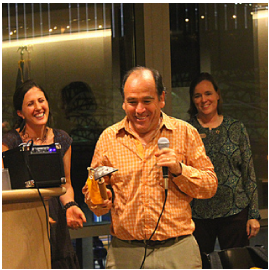 MESA presents the awardees with a hand-forged, engraved iron trowel during our annual Forging Farmers Event in the San Francisco Bay Area. We are deeply grateful for their contributions as luminaries and creators of change, and stand in solidarity of their vital work in the global grassroots food movement. Learn more about our past Forging Farmers award recipients below. Clara Nicholls is a lecturer in the Latin American Studies department at the University of California, Berkeley, teaching “Perspectives for Sustainable Rural Development in Latin America”. 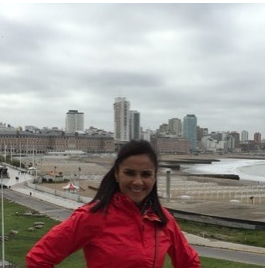 She also teaches at Stanford University, Santa Clara University, and Universidad de Antioquia in Colombia and has taught at various universities in Brazil, Spain, and Italy. She is president of the Latin American Scientific Society of Agroecology (SOCLA), which is a network of professionals to promote agroecological alternatives to industrial agriculture. Clara is the author of three books and numerous scientific articles about agroecology and rural development. Rowen White is a Seed Keeper from the Mohawk community of Akwesasne, and an activist for seed sovereignty, as well as farmer, mother, community leader and educator. She is the director and co-founder of Sierra Seed Cooperative in Nevada City, California. This cooperative helps provide access to regionally adapted seeds to the area and empower seed stewards. Rowen is also on the board of directors of Seed Savers Exchange, is a seed educator with Native Seed/Search Seed School in Tucson, Arizona, and is the co-author of Breeding Organic Vegetables: A Step by Step Guide for Growers.Add some content to your accordion item here. Myriam Kaplan-Pasternak runs the Devils Gulch Ranch on the central California coast with her husband and children. 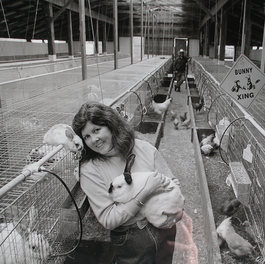 At the ranch, the family focuses on raising rabbits, pigs, sheep, and quail for meat and skins. Myriam is the Co-Executive Director and International Program Director for Devils Gulch Educational Services and a Farmer to Farmer Volunteer in Haiti with Partners of the Americas. In Haiti, she has helped with Makouti Agro Enterprises, a small-scale agribusiness microenterprise that unites farmers and promotes sustainable rabbit farming. 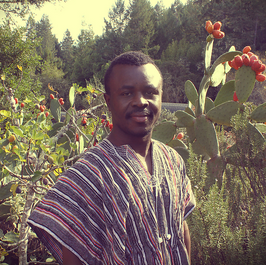 Abraham Yidana was a steward with MESA’s US Training Program in 2014, and since has created his own NGO “the Centre for Sustainable Agriculture (CSA)” in his home in Ghana. The goal of his work is to help farmers achieve food and income security through sustainable agriculture. Abraham’s Poultry Project has introduced diversified livestock farming to his community, adding another element to the traditional crop-production-based livelihood. This project focuses on improving local chicken breeds, training farmers in poultry production, and ultimately adding an alternate source of livelihood for farmers. 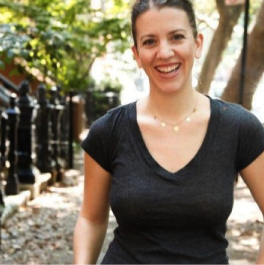 Anna Lappé is an internationally acclaimed author, educator and sustainable food activist. She directs the Real Food Media Project and co-founded the Small Planet Institute in partnership with her mother, Francis Moore Lappé. The Small Plant Institute supports grassroots democracy movements worldwide addressing the causes of hunger and poverty. Anna’s recent book, Diet for a Hot Planet: The Climate Crisis at the End of Your Fork & What You Can Do About It, examines the inextricable links between our climate and the food system. 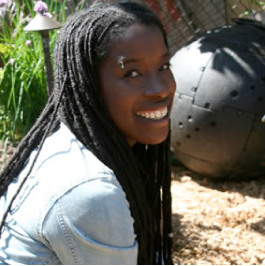 Pandora Thomas’ life and work is rooted in creating a world where all people have access to empowering and hands-on environmental education experiences. Pandora is a certified permaculture designer and co-founded Earthseed Consulting, a holistic ecological advocacy firm deepening connections to the earth in diverse communities. Her current and past work with Pathways to Resilience, Environmental Service Learning, Global Women’s Water Initiative, and Grind for the Green links critical issues in global human rights, youth empowerment and ecological, social and racial justice. 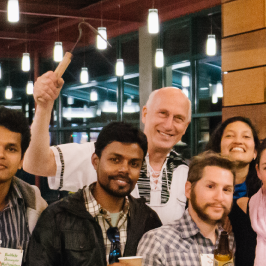 As a longtime MESA Host Partner and former Board member, Bob Gerner and the Natural Grocery Company (NGC) have hosted MESA Stewards from Ecuador, Georgia, Peru, Sri Lanka and Thailand for experiential learning in organic produce marketing and worker-owned cooperative retail practices. MESA alumni from NGC have gone on to expand their own local marketing, partnering with small farmers and educating eaters about the value of sustainable production. Bob started the NGC in 1981 with the goal of providing wholesome food that tastes good. The NGC sells 100% organic produce and is committed to being GMO-free by 2018. 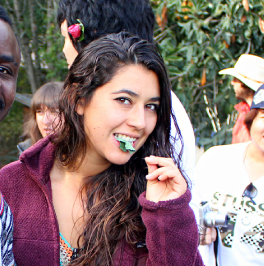 Isabel Quiróz is a 2013 MESA alumni from Aguascalientes, Mexico who completed her exchange at Golden Rule Mini-Farm in Willits, CA. 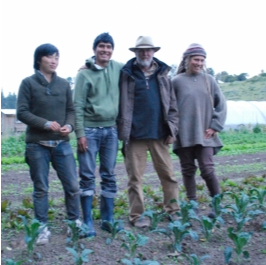 Isabel focuses on the GROW BIOINTENSIVE methodology and is passionate about food sovereignty and women leadership. She received a MESA Sustainability and Innovation Mini-Grant and has developed three community gardens in Mexico in partnership with municipalities afflicted by high violence rates to improve food access, community collaboration and gender equality. Check out this video she made about these community gardens, called the Convivo Feliz (Living Together, Happily) project. 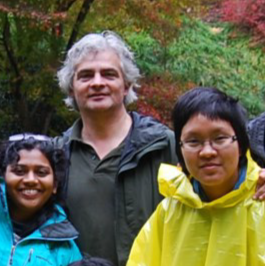 Miguel Alteri has been a Professor of Agroecology at UC Berkeley since 1981 in the Department of Environmental Science, Policy and Management. He is advisor to the FAO-GIAHS program ( Globally Ingenious Agricultural Heritage Systems) a program devoted at identifying and dynamically conserving traditional farming systems in the developing world. He is also the co-founder and past President of the Latin American Scientific Society of Agroecology. He has written more than 200 publications, and numerous books including Agroecology: The Science of Sustainable Agriculture and Biodiversity, Pest Management in Agroecosystems and Agroecology and the Search for a Truly Sustainable Agriculture. Lucas Howerter has been involved as a MESA Host and Mentor since 2008. 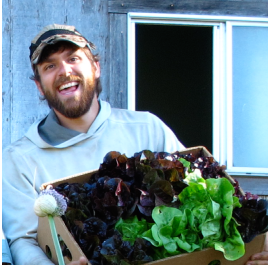 As a farmer with Ecology Action and Golden Rule Mini-Farm, Lucas has taught the GROW BIOINTENSIVE method to a multitude of Stewards over the years. Brimming with smiles and a hard-working ethic that inspires laughter and joy even in the middle of a double-digging session, Lucas’s enthusiasm and passion for farming is infectious. MESA Stewards year after year have enjoyed his informative workshops during orientation week and his overall committment to spreading agroecological knowledge to communities around the world. Lucas is also an incredible cook, whose talents are often showcased at MESA events, where he has consistently volunteered in our cultural cuisine kitchen! Hemantha Abeywaradhana is a 2012 MESA alumni from Sri Lanka. 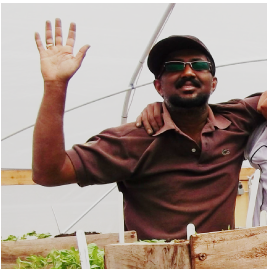 After returning from his stay in at the Golden Rule Mini-Farm in California, he has focused on home gardens and research and serves as a technical consultant for two GROW BIOINTENSIVE demonstration gardens and 150 home gardens under the RUAF research project and Janathaksan organization. He has taught GB techniques to 100+ government field officers and over 300 home gardeners, and says he feels like he’s just getting started! He writes “I’ve planned a training program with assistance from the commissioner of the department of Agrarian services in Colombo District to be started next month… I’ve recorded a GB documentary for telecast on my government’s national television channel. I am also planning with Ecology Action to raise funds for a GB Asian internship program.” He now aims to write a book titled “The Silent Revaluation of Sri Lanka – Chapters of a Social Worker” about his own transformative experience as a student of GB mini-farming in California. Eric Holt-Giménez, Ph.D. is an author, agroecologist and the Executive Director of Food First/Insitute for Food and Development Policy. He is the editor of Food Movements Unite! Strategies to Transform our Food Systems and author of Food Rebellions! Crisis and the Hunger for Justice. His international experience is extensive, and he regularly collaborates with farmer-to-farmer organizations around the world. Many Stewards join MESA having already read his papers or books, and have been thrilled to engage with him in discussion. 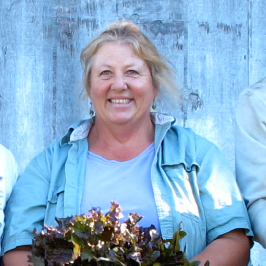 Ellen Bartholomew manages Golden Rule Mini-Farm in Willits, CA. She has been a dedicated mentor to many beginning farmers and has hosted MESA Stewards since 2008. Her passion for quinoa and biointensive farming is contagious, and her commitment to nurturing the next generation of farmers is unparalleled. It’s obvious to all who meet her that she has followed her heart’s path, and we are so grateful for the endless time and energy she’s committed to teaching MESA Stewards. The seeds she has sown go far beyond the limits of her garden. Mariuxi Rovayo participated with MESA in 2002 at Riverdog farm in Guinda, California. 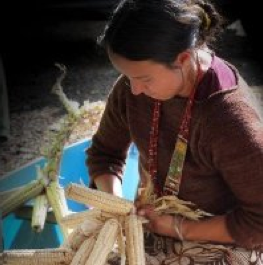 In 2004 she started a CSA (Community Supported Agriculture) called “ROOTS” in her hometown of Quito, Ecuador. Roots connects local, small-scale farmers directly with consumers. ROOTS supports 20 farms by ensuring a local market with fair prices, provides fresh organic produce to over 500 members and employs four local staff. 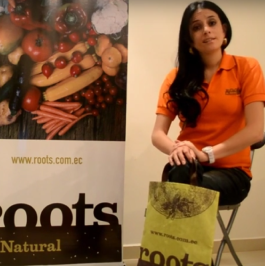 She says of the program, “ROOTS started with a commitment to the development of organic agriculture in Ecuador, by encouraging farmers to produce organically. We supported the application of techniques used by our ancestors complemented by practices derived from new technologies. At the same time, we educated our members about the importance of healthful, nutritious food and the reasons for supporting sustainable agriculture. Our objective was to introduce the concept of CSA in Ecuador as an alternative for small organic producers to obtain fair prices and for families to obtain high quality, healthful food. Check out this video Mariuxi made about the ROOTS program. Ignacio Chapela is a professor in the Department of Environmental Science, Policy and Management at the University of California, Berkeley. 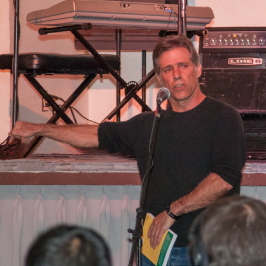 For years he has supported MESA as an advisor and mentor, giving engaging talks ranging from the complexities of soil microbe life to the atrocities of the corporate controlled seed market and the spread of transgenic genomes to native varieties of corn. Ignacio’s extensive academic and research background is noted by the MESA Stewards, however, his eloquence and ability to relate with such a diverse group—and for each and every one of them to come away with new perspectives on agriculture—is impressive. He is truly a gifted educator, and friend. Dennis Dierks has farmed with Paradise Valley Produce for 40 years. He writes: “We are trying to create a nutrient cycle within 5 miles from the farm. We will be building compost and collecting the material from our supporting environment to make it affordable. We would also like to create an instructional pamphlet/manual in both English and Spanish to develop for children and/or students and interns. This process raises the quality of the crops with higher nutrient levels, longer shelf life, and more vibrancy. Having Libio [a MESA Steward on our farm] manage this will help improve farm organization process and consistency. The compost tea could be applied the diversified vegetables, corn in his community. 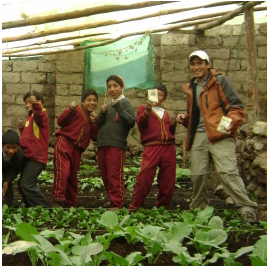 Also, Libio would be able to bring back the instructional pamphlet and his experience to teach the children at the local orphanage.” Dennis is an innovator, a teacher, and has a radical approach to farm nutrient cycling that he is ready to share with the world. MESA is thrilled to work with Paradise Valley, spreading Dennis’s ideas and methodologies to small farming communities around the globe.